Blake Austin Griffin is one of the popular professional basketball player for the Detroit Pistons of the National Basketball Association. He is simply recognized as Blake Griffin. He is well known American celebrity. He is famous for contribution to professional life. He is best at Power Forward position. Currently, he is playing for Detroit Pistons. He had played for the Los Angeles Clippers. His Shirt number is 23. He is very talented and skilled player. 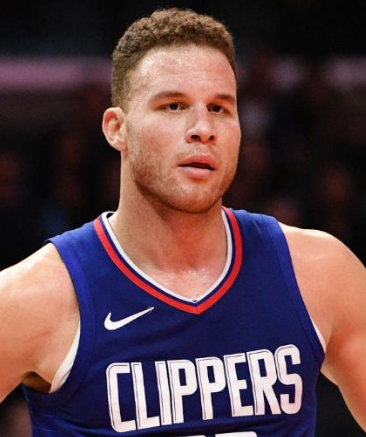 At first, Griffin was selected by the Los Angeles Clippers in the 2009 NBA draft and has since been a five-time NBA All-Star and a four-time All-NBA selection. In the year 2011, Sports Illustrated called him one of the NBA's 15 Greatest Rookies of All Time. 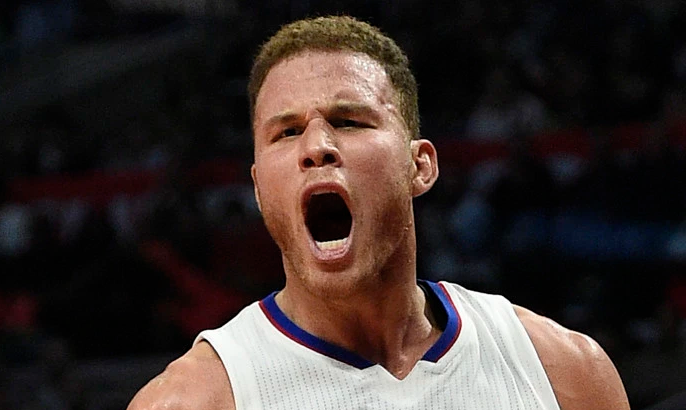 Passionate and enthusiastic player, Blake Griffin was born on 16th March 1989. He was born and raised in Oklahoma, the city of U.S. His real name is Blake Austin Griffin. He is the son of Tommy Griffin and Gail Griffin, his father, and mother. His nationality is American. His astrological sign is Pisces. At the small age, he began his career with football. He attended Oklahoma Christian High School and he graduated from Oklahoma College. Blake has got a great personality. Talking about his body, his height is 2.08 m. His weight is of 114 Kg. His eye color is Brown and the hair color is Brown. He has a balanced body with good health. He has an attractive body figure. His smiling face and charming personality have helped him to gain the attention of all the viewers. Blake started his basketball career from his college. In the year 2008, he suffered a sprained in his left knee while playing against Kansas Jayhawks. In the year 2009 of April, he was selected as the first pick by the Los Angeles Clippers in the 2009 NBA draft. In the game, he got injured in his kneecap and could not play for several matches. Griffin had surgery on his broken left kneecap causing him to miss the remainder of the 2009–2010 season in January 2010. Due to his injury, he could not play 2009-2010 seasons. He played against the Portland Trail Blazers and registered 20 points and 14 rebounds in his NBA debut. On 17th January 2011 against the Indiana Pacers, he scored a new career-high 47 points. He became the first rookie to have two 40+ point games in his rookie season. Later, Blake participated in the 2011 Rookie Challenge and won the Sprite Slam Dunk Contest during the All-Star break. Griffin signed a contract extension with a fee of $95 million for 5 years on 10th July 2012. He was also selected to compete for Team USA in the 2012 London Summer Olympics. But due to his injury in the knee, he could not play the game. On April 2, 2014, he led the Los Angeles Clippers to a 112–108 win against the Phoenix Suns. Blake missed 45 games in total due to injury in the 2015 seasons. Blake made a season-high with 28 points in a winning point of 116-92 against the San Antonio Spurs on 5th November 2016. Again, Blake made a 2017 season high with 43 points in a winning point of 116-92 against the Charlotte Hornets on 26th February 2017. Later, Griffin re-signed with the Clippers to a five-year, $173 million contract on 19th July 2017. He was then traded to the Detroit Pistons on 29th January 2018 and made his debut for this team after 3 days with 24 points, 10 rebounds with winning score of 104-102 over Memphis Grizzlies. Blake is a married man. Previously, he was in a relationship with Bethany Gerber and Kari Klinkenborg. Later, he was also in a relationship with Daniella Grace from 2012 to 2013. Then, he started dating Brynn Cameron. The couple got married soon and later they are blessed with two children, Ford Wilson (Son) and Finlay (Daughter). They spent a blissful moment for a short period of time and later got separated because of Blake's closeness with Kendell Jenner. This excellent player makes good money from his work. The net worth of Blake is estimated to have $30 million in 2017. He is receiving an annual salary of $29.7 million from his present club as of 2017. He is satisfied with his earning.